I wanted to get things in perspective: If law students had to spend five or six years in school, think up a novel law and get i t passed. then their training would resemble that of a biology Ph.D. 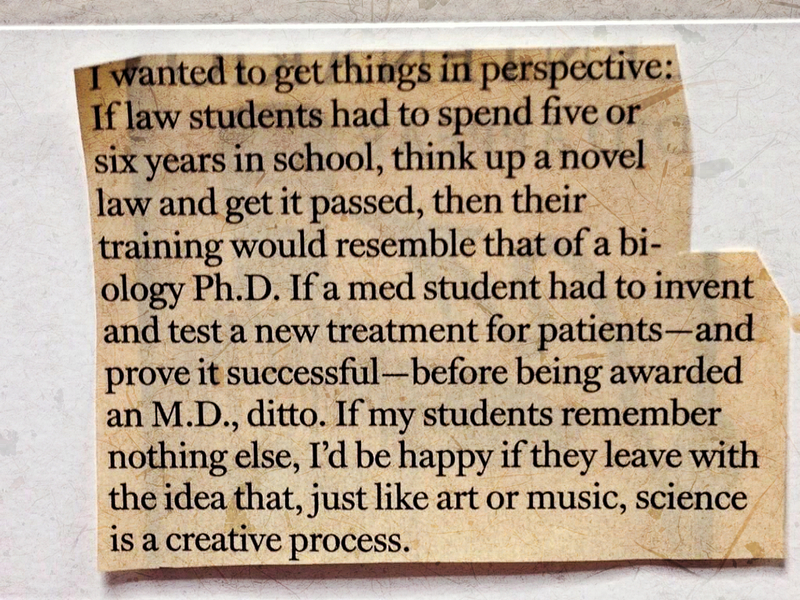 If a med student had to invent and test a new treatment for patients – and prove it successful – before being awarded an M.D., ditto. If my students remember nothing else, I’d be happy if they leave with the idea that, just like art or music, science is a creative process.